eCase by Heys Usa is incredibly lightweight as it is made from an advanced polycarbonate composite, which can flex to absorb impact It features accordion type pockets to provide you with quick and easy access to your folders and documents. Dedicated and padded laptop sleeve capable of fitting 15.4″ laptops which can also be removed if so desired; eCase can be used also as an overnighter. Built in three digit combination TSA lock. 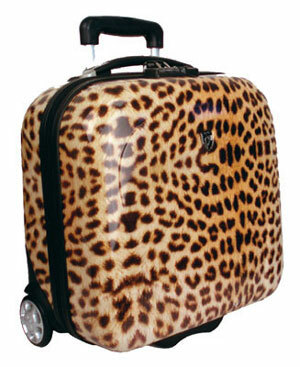 All you need is this exotic Leopard Laptop case and you will be rolling on success!